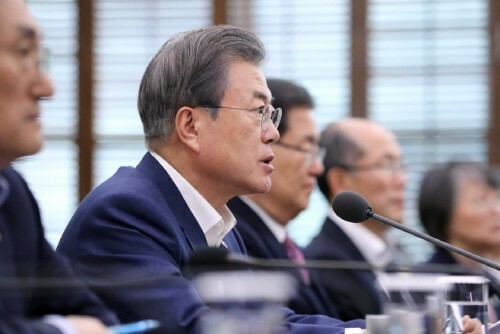 President Moon Jae-in urged the National Assembly on Monday to swiftly legislate work- and economy-related bills that rival political parties have been wrangling over. In particular, the president asked the parties to speed up the process of handling long-pending issues, including one on expanding the application period of the flexible work hour system and one on revising the minimum wage system. The business community also believes that swift legislation of major pending economy-related bills, including the Framework Act on Service Industry Development, Social Economy Framework Act, Fair Trade Act, and the Labor Standards Act. Concerns are growing that if these bills continue to remain unhandled, uncertainties in the industrial scenes and the market would grow, which would eventually keep the government and even enterprises make economic achievements. Moon criticized the lawmakers, who are concerned of the Korean economy, are actually coy about handling bills directly related to the people’s livelihood and the economy. 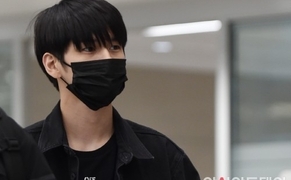 In fact, it seems hard for the key labor issues, including the expansion of the duration of flexible working hours and revision of the minimum wage system, to be approved in March due to clashes between the ruling and opposition parties. Last month, the national tripartite commission of labor, management and government agreed to expand the application period for the flexible work hour system, which allows companies to adjust working hours of employees in a lump-sum manner, to six months from the current three months. However, there is a great difference between rival parties since the main opposition Liberty Korea Party argues that it should be extended to one year. Regarding the revision of the minimum wage system, the ruling party is pushing for dividing the minimum wage commission into two sub-bodies while the opposition party is demanding that the minimum wage rate should be differentiated depending on the type, region and size of businesses. The president also touched on bills related to fostering new industries for innovative growth, supporting the self-employed and small business owners, strengthening the safety of media personnel, and ending violence in sports.